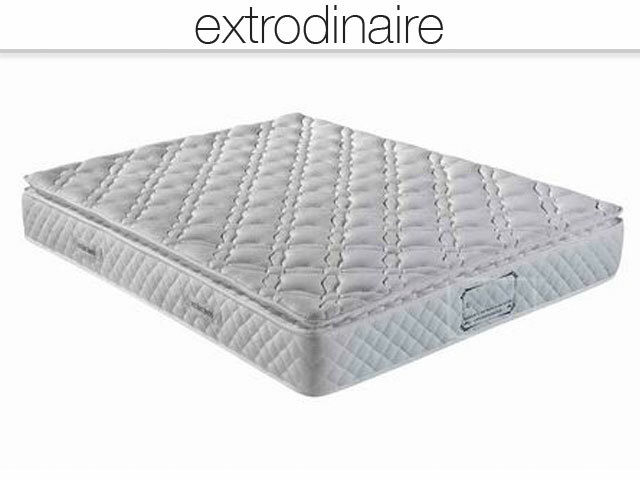 The Extrordinaire features all the qualities that contribute to an extraordinarily comfortable mattress for an extraordinary price. Purchase in store or online. 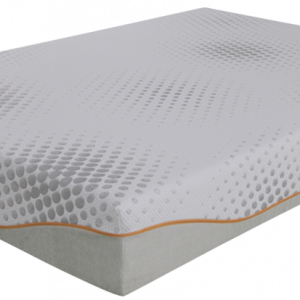 The Extrordinaire’s firm latex pillow top is the secret to the popularity of this premium mattress. 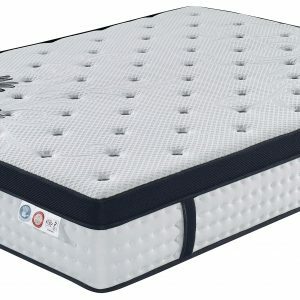 Great support is desirable in any mattress. However these days that doesn’t mean it has to be hard to be supportive. 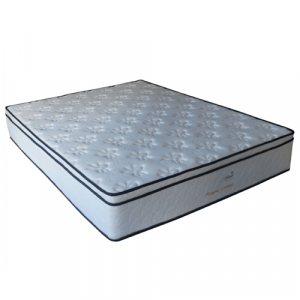 This mattress is firm yet the latex and foam comfort layers ensures pressure on hips and shoulders is considerably reduced. 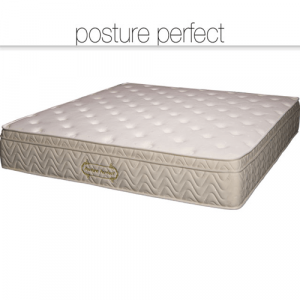 Only quality latex is used in our premium mattresses therefore body heat does not accumulate. Small holes in the latex provide a means for cooling air to flow to throughout. Therefore high grade latex is cooler than most foams. An effectively contouring comfort layer over a supportive spring system is the ideal combination. The 5-zone pocket spring system also provides a degree of support. Each spring is encased in a separate pocket of fabric that allows for the individual, vertical movement of each spring. Therefore lateral movement that causes partner disturbance, is dramatically reduced. Regardless of weight disparities the independent spring movement prevents one sleeper rolling into another. After 37 years of talking to customers we agree that partner disturbance a challenge for most couples. 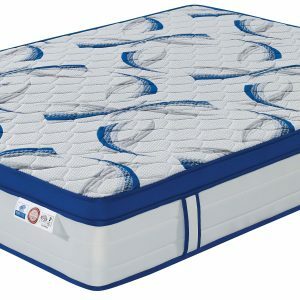 Reinforced edges allow for full use of the sleeping surface. Stable edges also make getting in and out of bed much easier. If you like to sit on the side of your bed to put shoes and socks on, you know the value of good edge support.